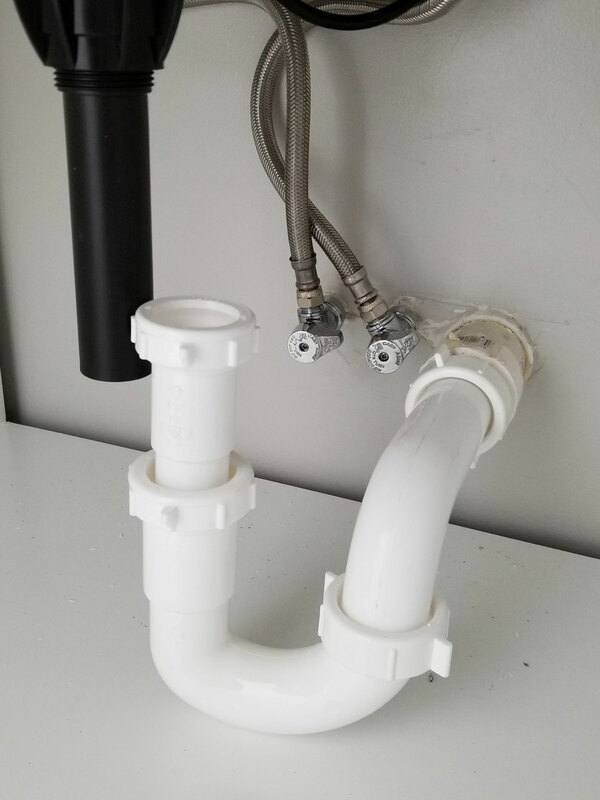 I am putting in two drains in my bathroom vanity. 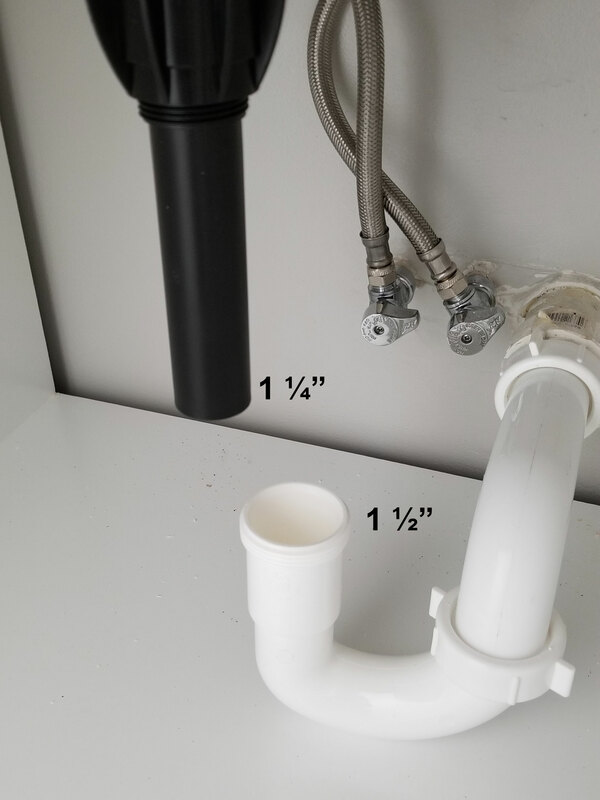 The tailpiece is 1 ¼" and the drain outlet is 1 ½". In both drains, the trap is touching the white shelf in the vanity, so I can't lower that without cutting into my new vanity. I'm trying to figure out how to make this work without using one of those flexible tailpieces. I am very much an amateur and got lucky with the first one, so any help is appreciated! 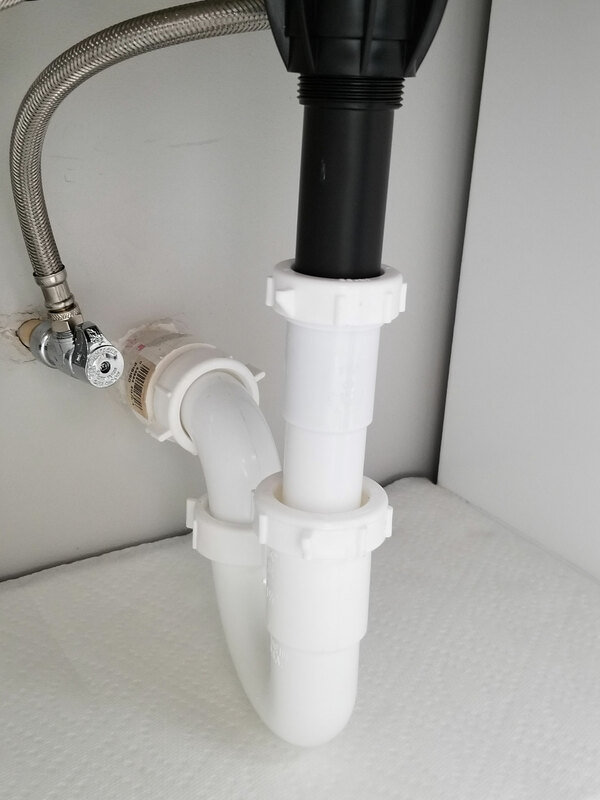 Install a 22-1/2 or 45 degree elbow on the pipe protruding from the wall, then a short length of PVC, then a threaded adapter. 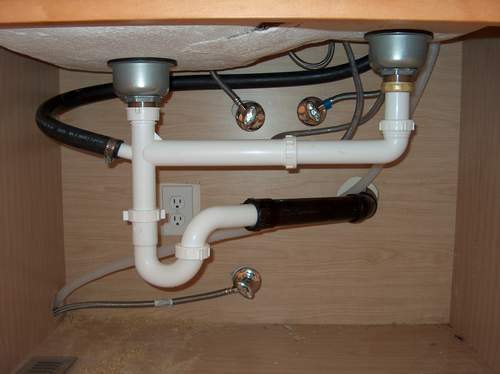 This gets the plumbing much closer to where it needs to be and gives you more alignment flexibility with your trap. You could swing the trap directly behind the tailpiece, recovering some storage space. The black section in the photo from this answer shows what I mean. You can probably accomplish the same thing with compression fittings, but I prefer cement-welded plumbing wherever possible for reliability. The trap swings in an arc but one needs three independent adjustments to get the trap to line up exactly with the tailpiece. If it is out of alignment even by a little then it will leak as it is tightened. A slip joint where the 1-1/4" tubing slips inside 1-1/2" tubing is a common solution. This slip joint gives a linear in-and-out movement and a rotation which when combined with the arc of the trap allow perfect alignment. Can anybody idtentify what this drain vent is for?